Complaints of iPhone 4 antenna problems and screen discoloration are pouring in from frustrated iPhone buyers grappling with what they claim are flaws in the popular new handset. The good news is there are a few potential fixes for what might ail your new iPhone 4. Numerous iPhone 4 owners have produced photos of yellow lines or blotches on the phone's supposedly "resolutionary" retina display. Other users report connectivity issues when holding the sides of the iPhone 4, where metal trim acts as the phone's antenna. 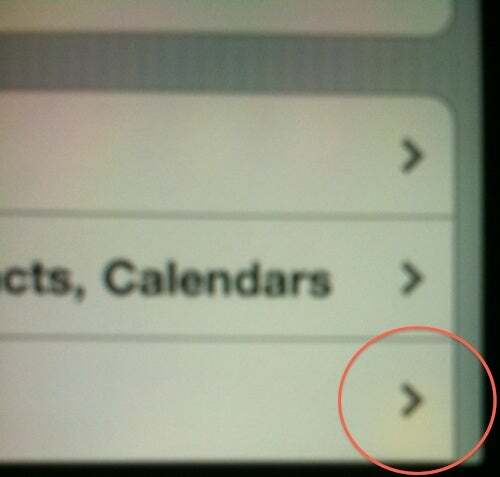 Apple hasn't officially commented on these two problems with iPhone 4. A voicemail and e-mail to Apple PR was not returned. Also, no clear answer came from two Apple Stores in the Los Angeles area. One store employee said she'd read about iPhone 4's antenna issues and believed they stem from skin contacting the phone's metal trim, but she said the phone won't drop calls nonetheless. She noted that Apple sells bumper cases that cover the antenna -- MacRumors claims that fixes the issue -- but said they're not a required purchase. An employee at another store said he hadn't witnessed the antenna issue himself, though he was aware of it. He only recommended the bumper for people who want extra protection from physical damage to the phone. Fortunately, there's no shortage of chatter on Apple-related Internet forums. Several folks on Apple's official support forums recommended resetting the phone's network settings or turning airplane mode on, then off, but this didn't work for everyone and it's not clear whether the fix is permanent. At Gizmodo, which has a running list of videos demonstrating the antenna problem, a reader says hand moisture could be to blame, and recommends operating the iPhone with dry palms. One user saw a boost in signal strength after wrapping the phone in a Ziploc bag -- call it a super-cheap alternative to Apple's $29 bumper. Another post on Apple's forums recommends covering the sides of the phone with InvisiShield tape. But as one official Apple forum-goer noted, "Apple needs to fix this problem, we should not have to rig a fix for a brand new phone." I think it's worth noting that my iPhone 3GS is having a lot of trouble making calls today. My connectivity issues that precede the iPhone 4 launch, but today was worse than ever, and I had to use my wife's Verizon flip phone to make a few calls for this story. So it's possible that AT&T is having trouble with all the new phone activations, exacerbating the wireless issue. As for the screen discoloration, that problem may resolve itself automatically according to a post on AppleInsider's forums. The author claims that Foxconn shipped the iPhones out so quickly that the bonding agent used on iPhone 4's glass hasn't fully evaporated on the new phones. Some MacRumors forum contributors are reporting that the discoloration is fading, but others say the yellow blotches return after extended use. If history's any indication - see the iMac's recent yellow screen issues -- Apple will hold out on making a public statement until it confirms either problem on its own and comes up with a solution. And if that happens, don't expect an apology. Scanning the forums, there enough Apple enthusiasts willing to forgive as is.